Fear of Failure Prevents Success. Fear of failure can paralyze you. From an early age, humans learn to be afraid of failing. Fear of failing and its cousin fear of being evaluated by others has a survival value some of the time. People who are slow to jump in a flooding river or refrain from walking into a tiger’s cave may live longer. But in modern society, this tendency to avoid things we may fail at keeps us from trying things that could make us successful. Fear of failure has been linked to Eating Disorders, Anxiety, worry, and Depression. The fear of failing also causes some people to become antisocial, cheat or use force. If success is so very important and failure is so unacceptable what might you be willing to do to avoid that failure and guarantee success? 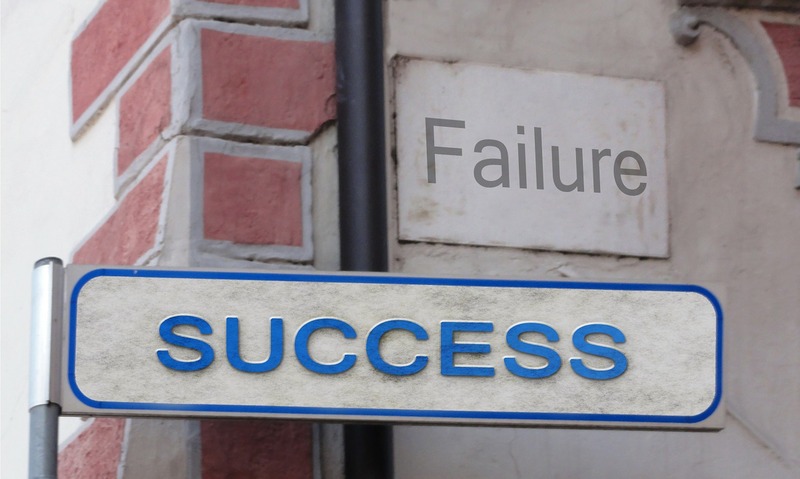 Why does this Fear of Failure mechanism keep you from success? Fear of failure triggers an automatic avoidance response. Avoid the problem you feel no pain. You also achieve no gain. Fear of failure in this modern urban setting is more about avoiding shame than avoiding Tigers or falling off mountains. There is a strong connection for many among us between failing and feeling that we are failures. Fear of failure moves beyond being protective when you come to believe that if you try something and can’t accomplish it you are a failure as a person. In this highly competitive world, some come to think that if you can’t be first place, world champion, then it is better to not try and set yourself up for failure and the accompanying shame. This fear of failure and the avoidance of effort cause you to avoid the activity and assure that you will forgo any possible successes. Fear of failure affects us in three primary ways. Fear of failure creates performance Anxiety. An excessive fear of failure results in constant performance anxiety. By performance anxiety, I am not talking about activities in the bedroom, though that can happen also. Fear of failure prevents people from doing things that might be noticed at work, in school, on the playground, and in life. The strongest fear known, worse than the fear of death, is public speaking. Most people would rather risk the tiger, swim the raging river than get up in front of an audience and talk about something. Performance anxiety also affects athletes. Playing it safe does not win games or competitions. To win big you need to take big risks. Coaches know you need the skills but you also need the heart to take those big risks and make those big plays. Fear of failure causes people to avoid social situations. Avoid the situation and the anxiety is reduced. Do this repeatedly and you become afraid to be around people. The avoidance behavior is self-reinforcing. At some point, you will become lonely and isolated. At this stage it is extremely difficult to engage in social activities and when you do you are likely to avoid anything that might be evaluated or bring you notice. People with social anxiety become lonely even when in a crowd. School Anxiety can be the result of fear of failure. Think this is confined only to small children? Think again. Adults who attend a training will attempt to avoid answering questions, getting up in front of the group to talk or any other activity that might result in their being evaluated. People high in fear of failure find that their anxiety also interferes with their work life. It becomes fear of a workplace. Similar forms of fear of failure can interfere with many other roles in life and keep us from taking on an activity that might result in a possibility of success or failure. People who are high in Fear of Failure overvalue the cost of failure and underestimate the gains they might achieve from success. There may be times when a dose of fear of failure is protective and keeps you from attempting things that could be harmful. Beginning swimmers should not attempt to swim the Atlantic Ocean. Most of the time the problem with our fear of failure is in the opposite direction. We have the volumes on our fear meter set way to high. Is the knob on your fear of failure control turned up to the max? In future posts, we will look at Fear of failure, what causes it, how it is holding us back and how we could overcome those fears. Since the opinions and evaluations of others play such a large role in our fear of failure we need to look at the ways in which we are handling the evaluations of others. We also need to look at the tricks we play on ourselves to avoid failing or thinking of ourselves as failures and how those tricks are holding us back. We should look at how we evaluated ourselves and how we react when we are evaluated by others. A classic example of this other evaluation and fear of failure is test anxiety. We will use test anxiety to examine how our fear of being evaluated by others is holding us back and how we might overcome that fear. Here is wishing you a safe journey on your road to a happy life. This entry was posted in Success and tagged Anxiety, Fear, Performance Anxiety, School Anxiety, social anxiety by David Joel Miller. Bookmark the permalink. Best wishes to you. It is always sad to see a relationship fail. Just know that good relationships are about building each other up not tearing each other down.